Barcelona thumping of their arch rival Real Madrid didn't come as a surprise considering the Los Blancos recent deep in form. Barcelona went into the game without their talisman Lionel Messi but still prove to be too strong for the Los Blancos. Luis Suarez single handedly win the game for Barcelona as he score his first El Classico hatrick. Barcelona went ahead just 7 minutes into the first when Jordi Alba low cross find Phillipe Coutinho inside the box as he have to slot pass Courtois into he back of the net. 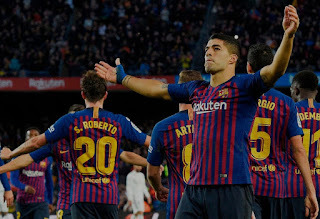 Barcelona added the second when Raphael Varane brought down Luis Suarez inside the box but the Referee had to consult the video assistant referee to ensure he make the right decision, after the consultation , Barcelona were awarded a penalty and Luis Suarez step in to convert to give Barcelona a two goals lead into the break. Real Madrid came back strongly after the break as Lucas Vazquez cross was half cleard by Clement Lenglet and fall in Marcelo's chest as he pull one back for the visitors. Real Madrid nearly find their way back into the game when Luka Modric shot hit the woodwork but that was the end of Madrid attack. 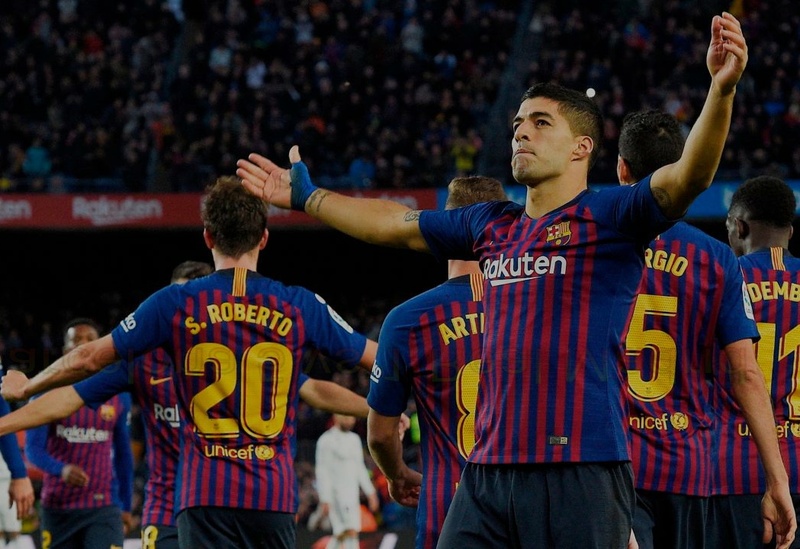 Luis Suarez wrap up his hatrick in the 75 and 83 minutes respectively before Arturo Vidal make it 5-1, his first goal since joining from Bayern Munich in the summer . Julen Lopetegui's job is now in a very big treat after he was on the brink of sack after the Los Blacos 2-1 home defeat to Levante. The defeat means Real Madrid are winless in their last 5 matches, 3 defeats and 2 draws. I'm a top notch blogger with keen interest in online business. A Barcelona fan and a music lover.